Looking to save on workout material? Head over to Walmart where they are offering the Gold’s Gym Total-Body Training Home Gym for $13 (regularly $35)! 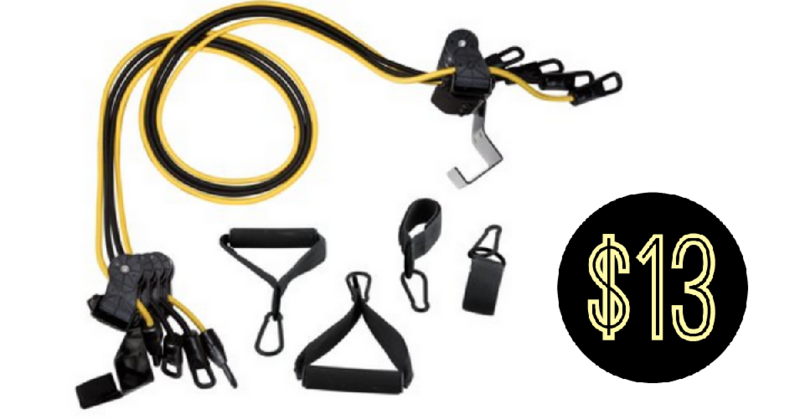 This set includes 4 resistance bands, 2 padded foam handles, 2 ankle straps, a workout DVD and an exercise chart so just about everything you need for a successful workout. It attaches to most standard doors too.